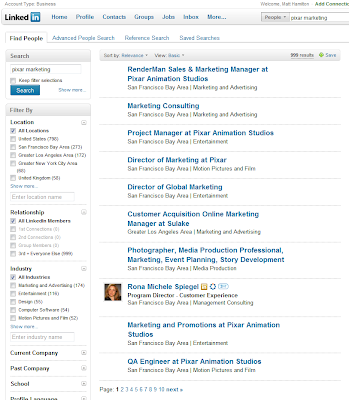 LinkedIn.com is as close to a comprehensive business directory as there is and usually reveals a lot about a company’s make up. But if you’ve ever tried to track down business leads, site owners or potential partners, you’ve probably had trouble locating the right person to contact at some point. Try this trick to get more names out of LinkedIn and locate that key person. 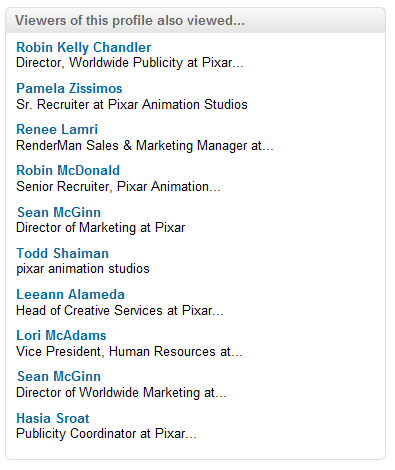 Let’s say you’re trying to get in touch with Pixar to show them your new promotional product. 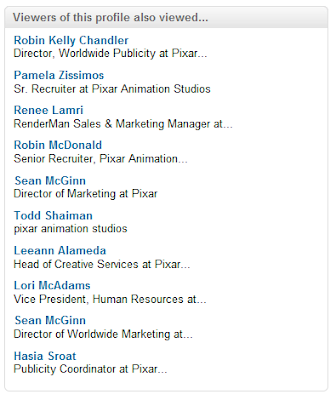 You start by searching for “marketing pixar” in LinkedIn’s search box. 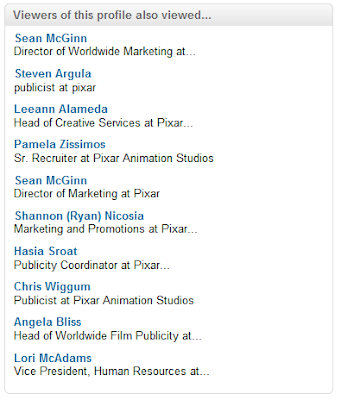 After browsing the results, you think the person with the title “Marketing and Promotions at Pixar Animation Studios” would be the perfect one to contact. 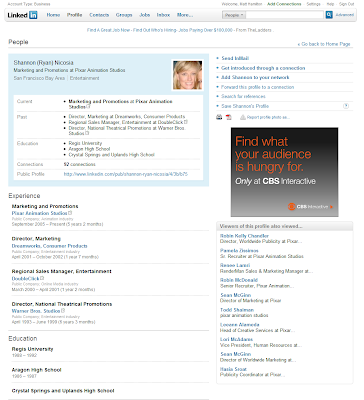 By clicking through you can see work, education and connection details but the name of the contact is listed as private. Bummer. Without a name it’s difficult to go much further. Here’s what you do. 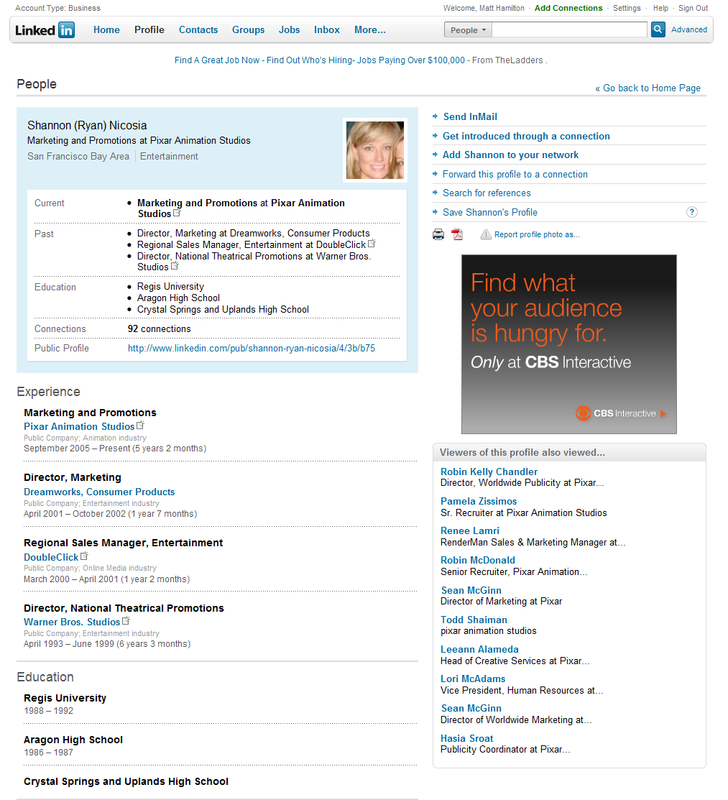 Scroll down the mystery contact’s profile until you see the section labeled “Viewers of this profile also viewed…” You’ll see the names of other people that are closely associated with your contact. Try clicking on a few of them. 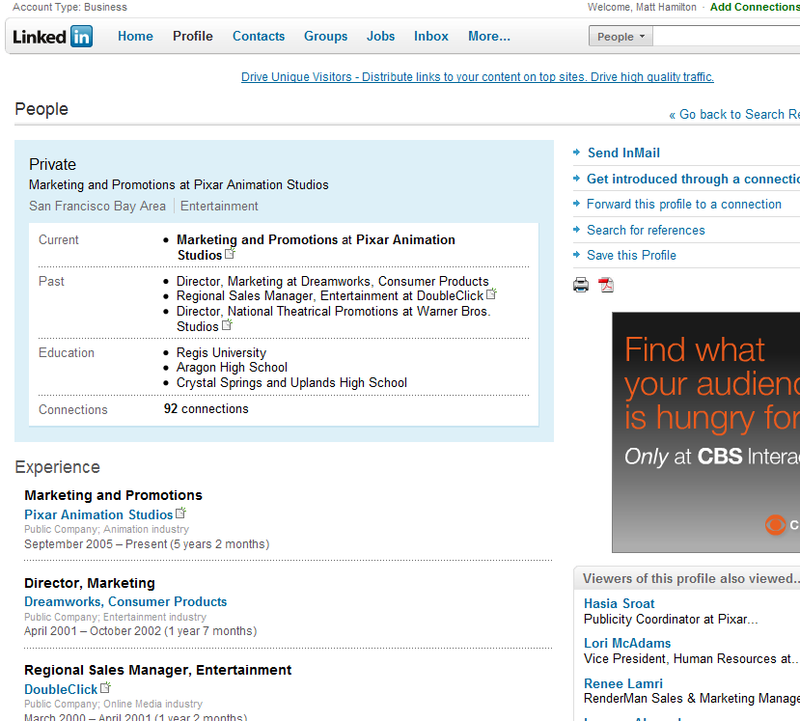 If you find one that’s in your network (even a 3rd degree contact) you’ll see their profile page. 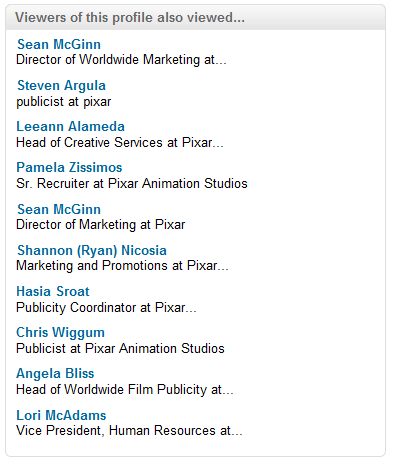 Going back to our Pixar example, viewers of our target’s profile also viewed the Director of Worldwide Publicity. Since we apparently have some friends in common, I’m able to click through to her profile. 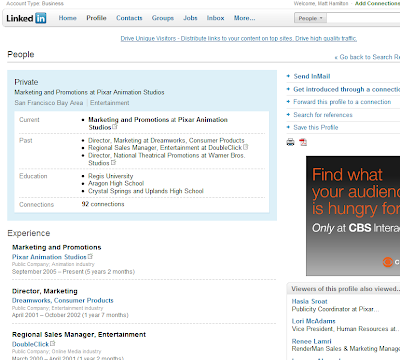 Once I’ve got Robin’s profile page open, I can scroll down to her “Viewers of this profile also viewed…” section. Because she’s closely associated with our “Marketing and Promotions” target, chances are that person will appear in her list. And she does! Using the title that we saw on the private profile page, along with background info that is available on private pages like education, we can confidently match the two and identify the mystery contact. Depending on her privacy settings, you can now click through to her detail profile or just note the name and do some additional research on Google. And that’s it. It’s one of those tips that doesn’t work every time but it may help in your research. Happy hunting!